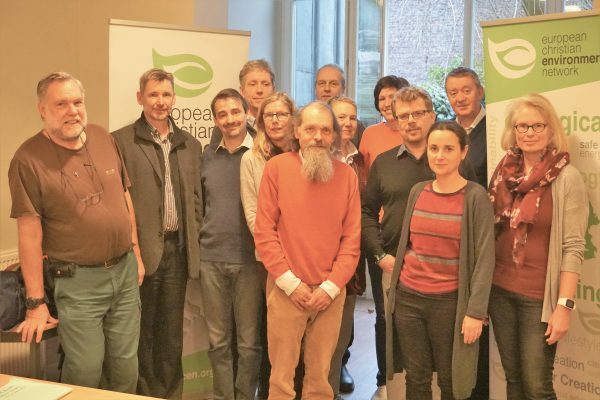 The European Christian Environmental Network (ECEN) leadership team met from 15 to 16 January in Brussels to prepare for the work of ECEN for the next two years. The discussions at the meeting followed up on ECEN Assembly held recently from 6 to 10 October 2018 in Katowice. The leadership team discussed priorities for ECEN especially in context of COP24 (United Nations Climate Change Conference) as well as changing political and development landscapes affecting environmental concerns. The ECEN leadership team also discussed outcomes of the 2018 Novi Sad General Assembly of the Conference of European Churches held in Serbia related to related to environmental concerns, ecological justice and the work of ECEN. CEC Study Secretary Rev. Dr Peter Pavlovic serves as the secretary of the ECEN network.